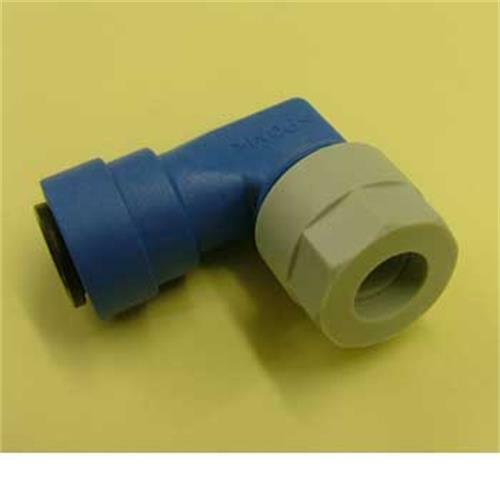 Elbow Fitting John Guest 12mm Blue for the Truma Ultrastore series 2 & 3 and Truma Boat Boilers. Hi. We have a truma us103-16053073 water heater. van age 2005. The cold water pipe where it is connected to the tank is leaking. There is a plastic collar that looks split that connects the elbow on the blue pipe to the water heater. Should the internal plastic collar be split? and if not, do you have a replacement collar please? Are you able to advise or provide with the part how it should be fitted or advise a contact please? If you have part how long does delivery take? Or if you have to order, how long please? G Crook. The collar is supposed to be split. the replacement fitting will be our parts 137178 or 137357 depending on the type of pipework used. The fitting sequence stating closest to the boiler is - nut followed by collar followed by 'O' ring followed by elbow.